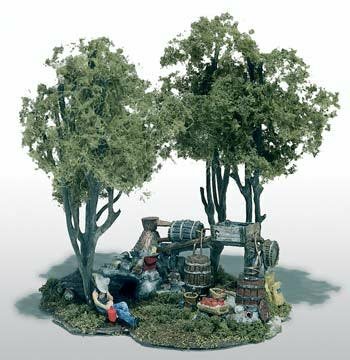 from the Mini-Scenes Series by Woodland Scenics. shine dozes under a tree. display as a miniature under a glass dome (not included).